Construction on the border fencing in El Paso did not start until 2008 and it was completed by mid-2009. The barrier between El Paso and Juarez, Mexico, has appeared to act as a deterrent for nonviolent crime, but it is our community's investment in our public safety and the dedication of our law enforcement agencies that continue to keep us safe. Contrary to what you might hear or perceive, our city's relationship with Mexico has ushered in an era of economic growth and regional participation. Today, dozens of Fortune 500 companies reside in Juarez, the Mexican city on the other side of our border fence, for manufacturing assembly. 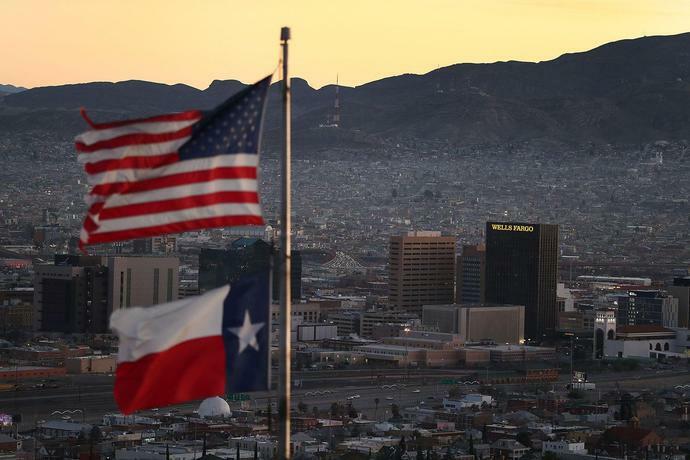 The maquiladora program, in which companies from foreign countries like the United Statesoperate factories in Mexico, has been a great benefit to El Paso. U.S. raw materials are sent to Mexico for manufacturing assembly and returned to the United States. Duties are paid on the labor value added. Instead of looking to vilify our community, I implore policy advisers from the federal government to visit El Paso. Talk with our residents, eat at our restaurants, walk our streets - you'll see that our city offers a truly safe and international experience. When President Trump visits our city Monday, he will see for himself.